If your company relies on barcode supplies and equipment to operate smoothly, you need to rely on a supplier who can address those needs each and every time. 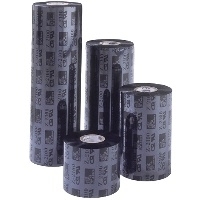 For Zebra ribbons, PolyPro 3000T Zebra labels and more, that supplier is Tri-State Business Systems. TSBS started specializing in the barcoding supply and equipment business over 20 years ago, at first serving the Tri-State area of New jersey, New York and Pennsylvania. It wasn’t long before word spread about our reliable products and services. We now serve schools, manufacturers, medical suppliers and retailers nationally. We are pleased to serve small start-ups and large Fortune 500 companies. 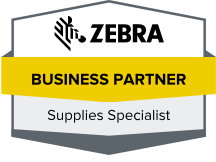 We specialize in brand names like Zebra ribbons, Zebra labels, like PolyPro 3000T Zebra labels, Sony printers, Datamax printers, and our own quality TSBS line of supplies. We always carry a large inventory to get you the supplies you need quickly. While we have grown tremendously, we are true to our roots of personal customer service for each and every client. Whether you are looking for a few supplies or a whole new technologically advanced barcode system for your organization, we are here to help. When you work with TSBS, you not only have access to a wide variety of barcode supplies, but you have access to our on-staff engineers with bar coding expertise. These experienced personnel can help you work your way through just about any barcode related problem. If you have been disappointed with a barcode supplier in the past or have experienced downtime when a supplier couldn’t deliver, we invite you to give Tri-State Business Systems a try. Contact us and let’s talk about your situation and barcode needs. From basic Zebra Ribbons to specific products we can help. We look forward to becoming your resource for barcode supplies and equipment.